Unbelievable – a complete miniature transmission/reception system smaller than a matchbox! This set, licensed for the 2.4 GHz range, is inconspicuous and easy to carry on you. The microphone captures conversations at a distance of up to 10 m. An external camera can beconnected. 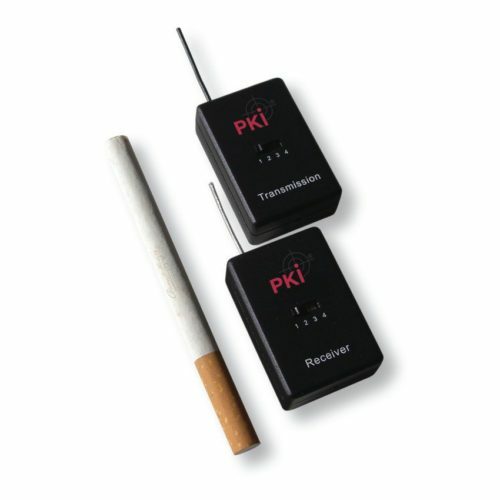 The PKI 5490 allows quick and uncomplicated room monitoring. The small earphone, that is included in this set, is perfect for play-back of the audio signals.